Crowdfunding for two short-term residency scholarships at Graduate House, fostering academia, learning and career building. At Graduate House, we create a platform for many academic, networking and social opportunities for Post Graduate or Doctoral students, providing them the best learning and living experience. 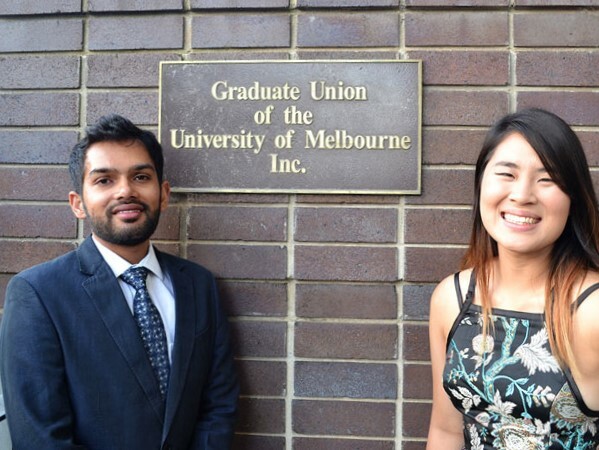 This crowdfunding venture will provide two Post Graduate students short-term residency scholarships for no longer than six months, covering 70% of the total compulsory costs of accommodation and services. Each recipient will be provided with the luxury of a single private furnished room with an en-suite and have access to all the facilities offered by Graduate House. Even as this residency scholarship services only a short-term stay, it connects a student into the international association of graduates, and provides a learning and meeting environment, ideal for individual development, growth and lifelong learning. As students come from around the world, living at Graduate House establishes students and sets them on a path to continuously up-skill, learn and develop by way of events, programs and opportunities offered by Graduate House. This scholarship helps ease students’ financial pressure and provides them with a safe and quiet environment that fosters academia, learning, and career building. The atmosphere created by a diverse group of multicultural students and Academics is the perfect balance of academic support and social experience. "The Graduate House residential community is flexible and multicultural. It provided me with both moral and technical support for the whole duration of the semester." - Nina Bliznina, Resident. The cost for residency with fully furnished rooms, en-suites, food, linen, housekeeping and many more services is $8500 per student. You can find more information on the types of rooms, room rates, services and application processes on the Graduate Union website. Applications for this scholarship opens after the target amount has been met. With a small donation to this scholarship fund, you not only facilitate the residency and scholarship for two applicants this year, you can also ensure the continuity of this fund for the future! A small percentage - 5% of your donation will exclusively be set aside into a Residency Endowment Fund to ensure this scholarship exists in perpetuity. This allows the scholarship to reach out to more students and give them many more opportunities over time. All donations to this Residency Scholarship Fund are tax deductible. Learn more about endowments, or donate directly to the resident scholarship endowment fund here. This scholarship contributes to 70% of total compulsory costs of accommodation at Graduate House for a period of six months or one semester. Any full-time student undertaking their Post Graduate or Masters level of study at any higher education institution in Melbourne. Applicant must be enrolled and must be commencing study in a post graduate or masters level research course at The University of Melbourne or a similar higher education institution. Applicant’s research proposal must be approved by the relevant post-graduate research committee of their University of enrollment. Applicant’s ethics application (where relevant) must be approved by their University of enrollment. Applicants must complete application process including interview. Applications will open as soon as the target amount is reached. For more information on Graduate House and general application periods, visit the Graduate Union website. Two scholarships for short-term residency at Graduate House fostering academia, learning and career Building.